SALES: By leveraging the invaluable network of talent he encounters at the NAHB, Robert has helped to merchandise more than $25 billion retail, residential, resort, recreational, commercial, institutional, industrial, and governmental real estate throughout his career. MARKETING: From his early economic development initiatives, Robert devised an innovative real estate marketing approach that leverages the resources of economic development councils, chambers of commerce, HBAs, Boards of REALTORS, and more to maximize a project’s success. This unique and effective marketing model is a primary reason why Robert remains one of the most coveted real estate marketing experts around the globe. LEADERSHIP: Robert is a Senior Life Director of the National Association of Home Builders (NAHB). He is Past Chairman of the National Sales and Marketing Council (NSMC) of the NAHB. He holds a Master in Residential Marketing (MIRM) and is a member and Past President of the NAHB’s Institute of Residential Marketing. In 2008, Robert was inducted into the Institute of Residential Marketing College of Fellows. 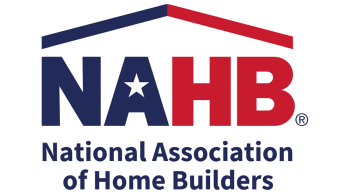 Robert is certified by the NAHB Education Department as one of four Master Train the Trainers nationwide. MENTORSHIP: Robert has been a mentor to thousands of emerging and established real estate professionals throughout his career. He has written and edited countless IRM, CSP, and personal courses. He has traveled to Home Builders Associations throughout the country to teach and has conducted sales and marketing seminars on behalf of local, state, and national sales and Marketing Councils. He is one of four individuals nationwide to hold the Master Train the Trainer distinction. GROWTH: With over 3,200 credits for NAHB membership recruitment and retention, Robert is the 2nd all-time leading SPIKE, significantly helping the organization to expand and prosper. FUNDRAISING: Robert has helped raise over $75 million for the NAHB. DISTINCTION: In 2017, Robert was honored with the NAHB’s Legend of Residential Marketing Award for his creative contributions to the real estate industry spanning decades. Robert twice received the William “Bill” Molster Award for the most outstanding sales and marketing professional in the nation. Through uncompromising principles, an energetic work ethic, and a constant commitment to elevating the industry and all those within it, Robert is the personification of NAHB real estate excellence.